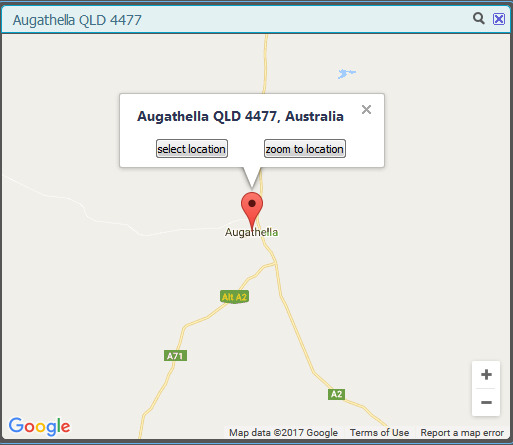 prl-001 wrote: The issue I'm having is that Accuweather is interpreting /acton/ as a locality ~30km outside Augathella in Queensland instead of an inner suburb of Canberra. sorry, but I can not understand you - what kind of city do you need? prl-001 wrote: Yes, that's because either Forecastfox or Accuweather (probably Accuweather) is geocoding you to https://www.accuweather.com/en/au/reid/12199/daily-weather-forecast/12199, and not to https://www.accuweather.com/en/au/acton/2269354/weather-forecast/2269354 as it is for me. The issue I'm having is that Accuweather is interpreting /acton/ as a locality ~30km outside Augathella in Queensland instead of an inner suburb of Canberra. For non-Australian readers, the location difference I'm getting is like asking for the forecast for London, UK and getting the forecast for Nice on the French Riviera, or asking for the forecast for Washington DC and getting the forecast for northern Florida. For non-Canberra readers, Reid and the Acton that's not 1000km away from me are both suburbs of Canberra. They're both ~4-5km from where I actually live. However, I'm beginning to think the problem is more likely with Accuweather than with Forecastfox. 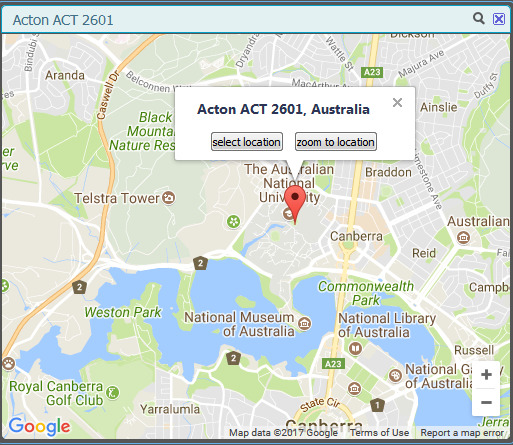 When you are trying to select a new location have you tried entering "Acton ACT 2601, Australia" (without the quotation marks) into the search box? I set up my location some time ago, and I can't remember exactly what I searched for, but it was most likely "canberra". I've always had this problem in Forecastfox (fix version). I only recently got around to asking about it. I just set up a new location with a search for "canberra", and it returned the location as reid (instead of acton), and so it shows the correct weather data. The Forecastfox Switch locations menu lists both the correct and incorrect locations as "Canberra, ACT 2601, Australia". But it seems that I can now work around the problem by simply deleting the old search result. Since Waterfox is retaining its look for the foreseeable future, and has the CTR Add On bar and such, can we get a version of this for Waterfox that works like 2.4.8 did? PimpUigi wrote: Since Waterfox is retaining its look for the foreseeable future, and has the CTR Add On bar and such, can we get a version of this for Waterfox that works like 2.4.8 did? Have a look through the old versions and see if you can find what you are looking for, in the meantime. Well, yes, I still have 2.4.8 installed. But as Waterfox is based on Firefox 55/56 it isn't working as 2.4.8 doesn't work on those two. Unsure why; it's not e10s preventing it. Asked in here before if anyone knew why it doesn't pop up on Fx55 but no one had any suggestions. So I'm on Fx54 for now. I installed your add-on and I input 14 different locations, all in Europe, depending on climante, area, etc., for example, Moscow, Stokholm, London, Rome, Athens, Vienna, and so on . The problem is that I cannot see all them in a single look/peek . When you press on the menu icon, and them "change location", you can see a list with the 14 locations, but you must click on them, one by one, in order to see temperature and conditions . Why not to add just after the location name, the temperature and a small icon with the conditions ? . So, you could have a look/peek of the weather at all those locations, that is, in all Europe, without cliking on them, one by one . Thank you in advance and thanks for the add-on . salvasi wrote: Why not to add just after the location name, the temperature and a small icon with the conditions ? I respect your decision on that. But I hope you will consider Waterfox in the future for its XUL and CTR capabilities. PimpUigi wrote: I respect your decision on that. But I hope you will consider Waterfox in the future for its XUL and CTR capabilities. Waterfox have any add-ons gallery? So much for finishing and submitting my own add ons then. I hate Mozilla more and more as the years go by. Oh, hm. Waterfox will soon have an Add On "repo" - will post a link to that here when it happens. Version 2.4.8 works well in Pale Moon. Pale Moon has their own add-ons page as well.